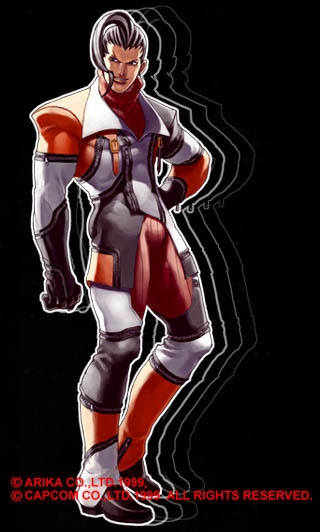 Vulcano Rosso is a mysterious Italian warrior who resides on a base located somewhere in the Mediterranean Sea. He was a member of an organization trying to overrule Europe, but he left the organization after his girlfriend was killed by a traitor. 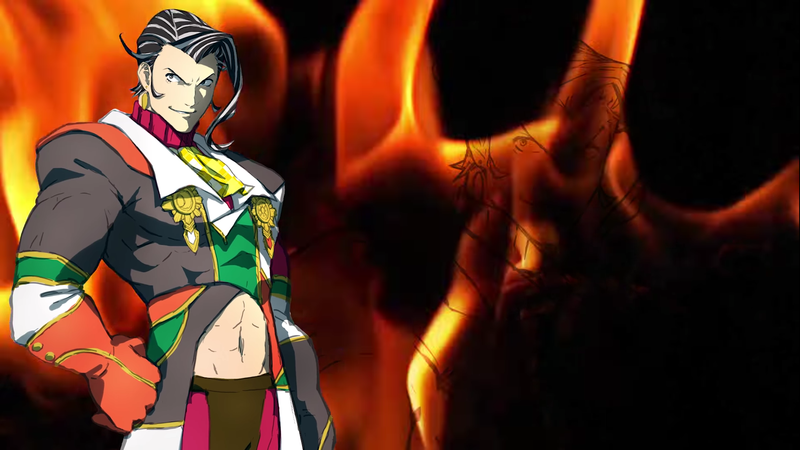 Her death caused him to develop a burning desire for revenge. At some point, he became acquainted with a bodyguard organization in Las Vegas, where he met Jack. He has the ability to create violent and dangerous attacks that utilize lava and volcanic eruptions. In Italian, his name literally translates to "Red Volcano". 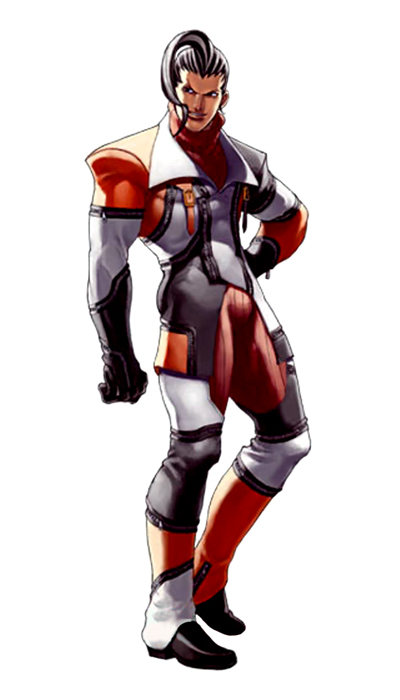 In Fighting EX Layer, Rosso began his new life as the "Narcissist Detective" after graduating from the Organization. Although initially he didn't intend on taking a request from a certain rich princess, once he heard the target was Jack he changed his mind. Vulcano Rosso is a "different" type of design that the Street Fighter series has never seen before. Aside from looking like he's straight out of JoJo's Bizarre Adventure, Vulcano also resembles Maxi from Soul Calibur - in more ways than one. It's interesting because Namco debuted Maxi in Soul Calibur in July 30th, 1998, while Street Fighter EX2 also came out in 1998 (not sure which month), so it's a bit of a conspiracy. Anyhow, V.Rosso is very unique to the Street Fighter series in terms of looks and fighting style. As a player who enjoys many other fighting games besides Street Fighter, Vulcano's design was refreshing. 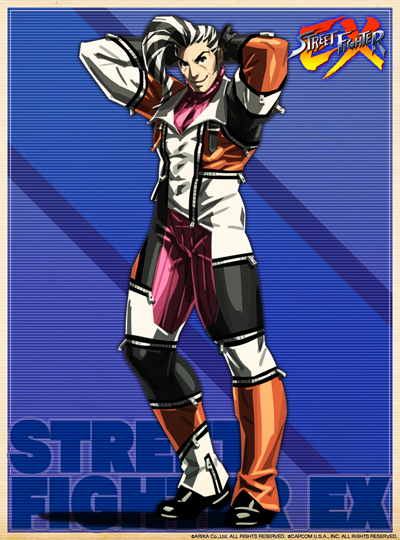 He actually has a more "KOF vibe" about him, being as overly-flamboyant as he is. He's got an weirdly unique play-style with some very "cool" animations, and from what I remember, he enabled you to trick up your opponents pretty well. His flashy clothing style is "loud" but somehow it works. 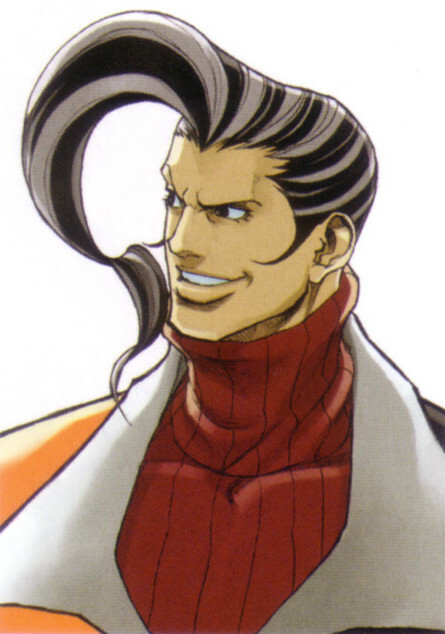 I'm excited to see his epic return in Fighting EX Layer!